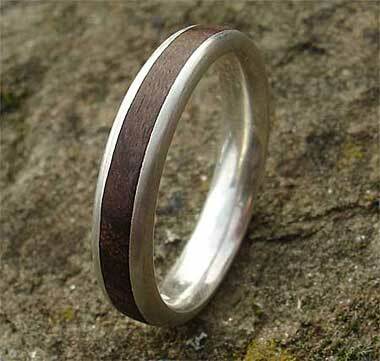 Cocobolo Wooden Inlay Silver Wedding Ring : LOVE2HAVE in the UK! 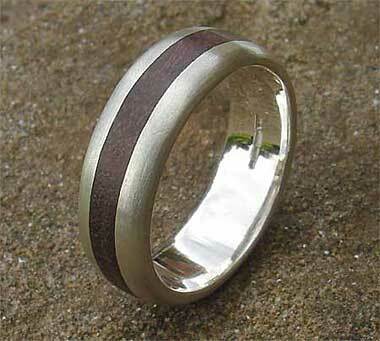 A silver and wooden wedding ring that measures 7mm in width and is set centrally with a 2mm cocobolo wood inlay. The profile of this ring is slightly domed, and the ring design has a lovely smooth inner and is therefore very comfortable to wear. The silver has an organic look to it with its matt finish. 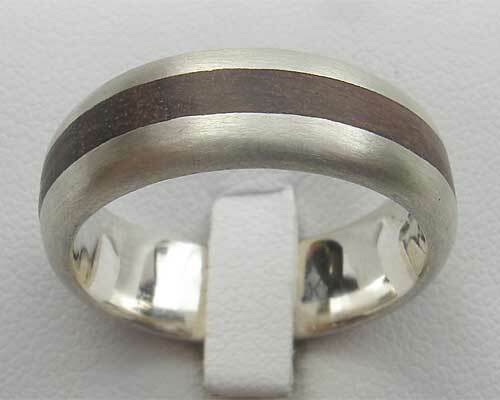 The ring also comes in 4mm, 9mm and 11mm widths so please contact us for further details. The inlay for all widths is 2mm wide, and the 4mm version comes also pictured on this page.